I am soooo excited to finally share a sneak peek of my new collection of Ceramic Matchboxes that I've been working since mid last year! After a lot of hard work, hiccups, frustration, disappointments, late nights, I am so ready to share it with everyone. 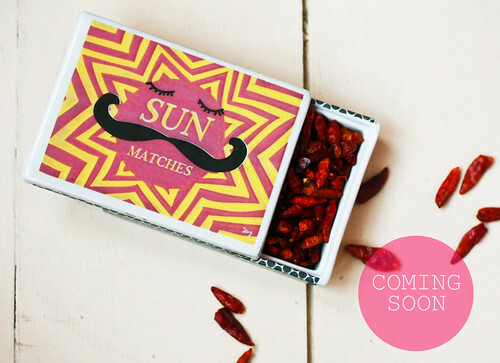 This collection as you can see is inspired by Vintage matchbox packaging design. There are 6 designs in total and all the ceramic boxes have original illustrations by me.